BEAUTIFULLY UPDATED COWICHAN BAY HOME on .36 of an acre with views across Cowichan Bay, Genoa Bay and on to Salt Spring Island truly offers something for everyone. 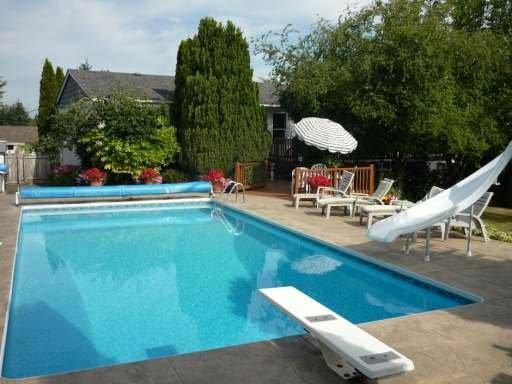 Perfect for entertaining, there are an abundance of decks and patio areas, and a beautiful heated in-ground pool for all to enjoy. With 5 bedrooms, 3 bathrooms and over 2600 sqft in total, this home has plenty of space for the family and offers in-law suite potential. Several quality and expensive upgrades in recent years include new wood and cork flooring, paint throughout, stove, dishwasher, oil furnace and tank, heat pump for the pool, en-suite bath, window coverings, light fixtures, attic/basement insulation and landscaping. A bonus is the 24'x26' shop/garage with heated floors, and there is an additional attached workshop. Large rear yard is fenced for kids and pets and offers beautiful mature landscaping. Home recently received an Energuide rating of 63, similar to new homes.